Apart from all the fame and glory that comes with being a professional skier, you also get to travel the globe, racing down some of the most beautiful mountains in the world. Plus, most of the crazy expenses associated with the sport (gear, lift tickets, travel, etc.) are covered by sponsors and others. And on top of all that, you can even make serious money doing it. The only trouble is, you actually have to be exceptional at the sport to relish in the big perks. There's a chance that your passion for the skiing or snowboarding could be enough to score you one hell of a pro-level experience on the slopes. That's because Ski.com is currently on the hunt for one lucky person to take an all-expenses-paid ski trip around the world, checking out over a dozen resorts in seven different countries on three continents, all while earning a fat $10,000 paycheck in the process. The gig, which Ski.com is touting as its Epic Dream Job, is quite literally that. They're looking for someone (a skier or a snowboarder) who's down to travel for two months this winter, scoping out some of the finest downhill destinations in the world. They'll visit seven different countries (the US, Canada, Italy, Switzerland, Austria, France, and Japan) and get unrestricted access to 18 mountain resorts. Plus, they'll be outfitted head to toe in gear from Helly Hansen, Rossignol, and Oakley, and get a full arsenal of equipment from GoPro. And as if that weren't a sweet enough deal, they'll also get paid a cool ten grand for their troubles. While expert-level skills aren't necessary to land the job, you do have to be able to at least ski or snowboard to be considered. You should also "love après, mingling with the locals, and documenting new experiences," per the job description. 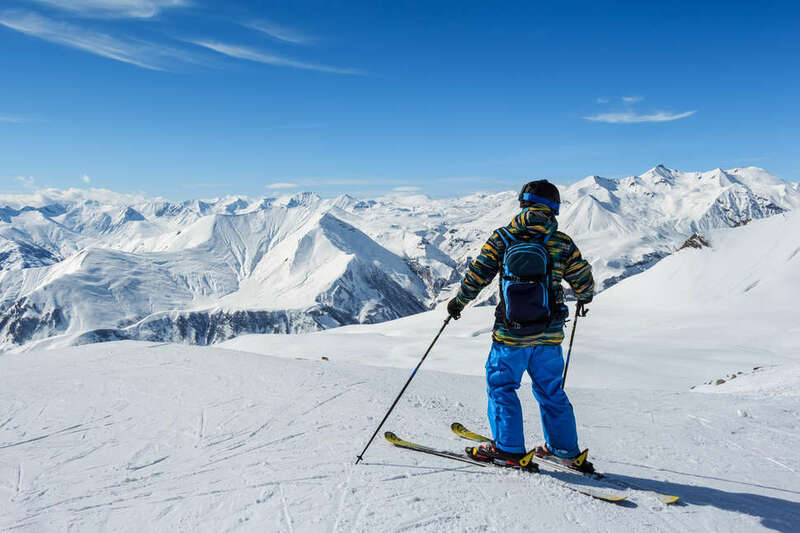 You'll also need to be free to skip town for a couple months during January and February of 2019, which is when the skiing adventure is scheduled to take place. If you think you can convince the Ski.com team that you're the right candidate, all you need to do is fill out the online application before October 15 and submit a 60-second video detailing why you should be hired, then sit back, cross your fingers, and hope for the best. Then again, if you'd actually prefer a dream gig that involves slightly more tropical conditions, you do have other options.